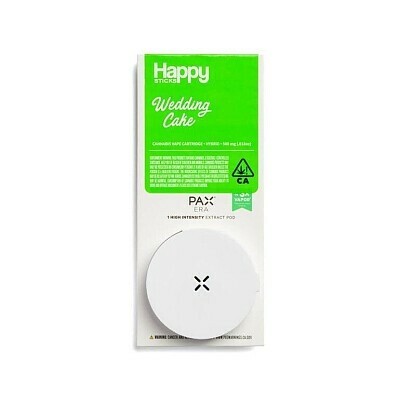 The Happy Sticks Wedding Cake Pax Era Pod is sure to please anyone who values full flavor and the tempered cerebral effects of an Indica-dominant hybrid. The fruity aromas and slightly sedative effects will ease stress and detour into a world of chill. Get calm and stay sweet with the Wedding Cake Pax Era Pod.